This book list will appear on my website too, but for now just bare with me as I collect all of my titles together =] Book reviews will be here or on the website, and my official Facebook page, found at: Sy Calaelen. University has taken over my life at the moment, but I squeeze in the odd bit of reading here and there. 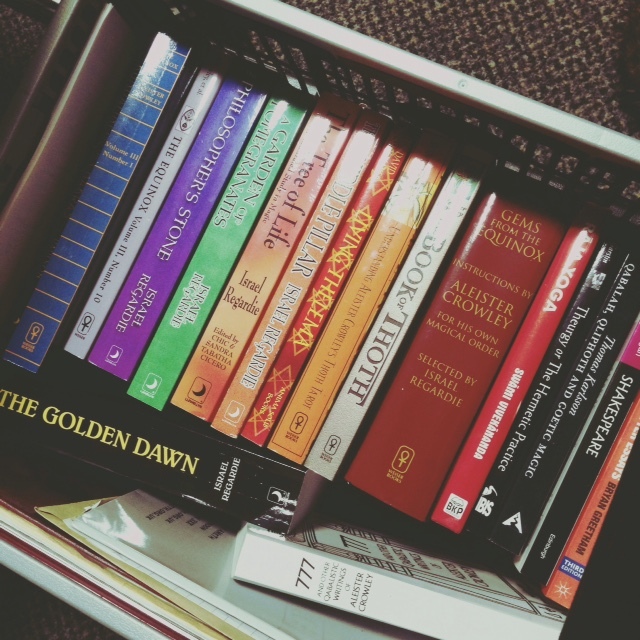 Below are the most precious of books that I carried to my university accommodation and back. I can never have enough books! Thank you for compiling and sharing this list, I added a few to my wishlist and I’m still looking! First timer here. Book lists are fun! I would suggest adding “Gems of the Equinox.” Btw thanks for adding the Resh timer link in your Four Adoration post, very handy. 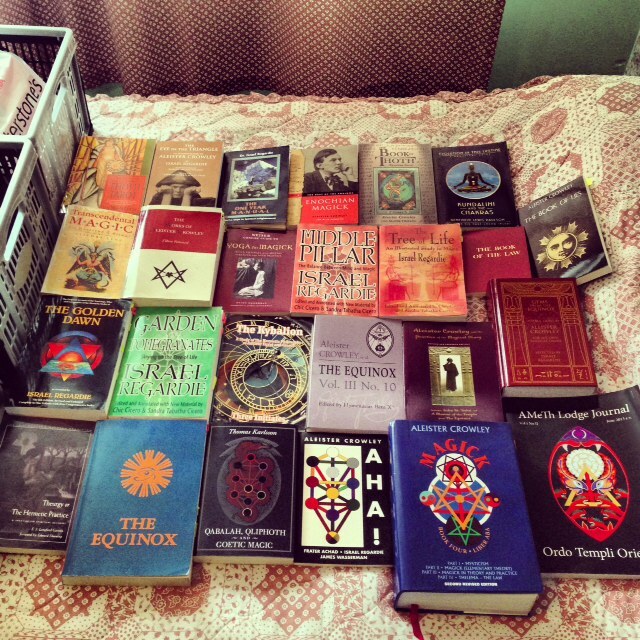 I think that should be “Gems From the Equinox.” by Aleister Crowley. Lon Milo DuQuette and other editors are also publishing individual collections of Crowley’s writings in The Equinox grouped by subject matter. There are so many books I need to add, especially I am over a month due for an update. I have included pictures of the books I managed to carry to university with me this year and last though. Book reviews of some of the books are already up, but mostly Regardie books.